More and more adult children are sending their parents overseas where they can afford the cost of senior care. It sounds so strange on the surface, right? The Philippines is growing in increasing popularity because they are even marketing to elders with Alzheimer’s Disease. For someone with Alzheimer’s, the cost of senior care in California (specifically) can range from $4,000 to $9,000 a month, but in the Philippines $1,500 will do. Similarly, Thailand is becoming a hot spot for affordable elderly housing, in addition to Mexico and even India. Is this going to be the new trend? If yes, will the cost of care rise? Is this solution a temporary fix for a bigger problem; i.e. How can we afford the cost of senior care at home? In that regard, it becomes a question of “What level of care, will my elder receive?” Well, caregivers overseas are fairly skillful, to a point where immigrating caregivers have an easier time receiving work visas than those looking for work in other fields. In addition, there’s a cultural aspect that can’t be overlooked. On the eastern side of the world, there is much more emphasis placed on “respecting your elders,” so you know that they care and will continue to treat them with the kindness they deserve. The nascent trend is unnerving to some experts who say uprooting people with Alzheimer’s will add to their sense of displacement and anxiety, though others say quality of care is more important than location. There’s also some general uneasiness over the idea of sending ailing elderly people abroad: The German media have branded it “gerontological colonialism.” Angela Lunde of the Mayo Clinic says that generally the afflicted do better in a familiar environment, but that over time, even those with advanced stages of the disease can adjust well. The World Health Organization states that by 2050, the number of people who make it past their 80th birthday is expected to almost quadruple to 395 million – the age after which one in six people are estimated to have developed dementia. And more are opting for retirement in lower-cost countries. 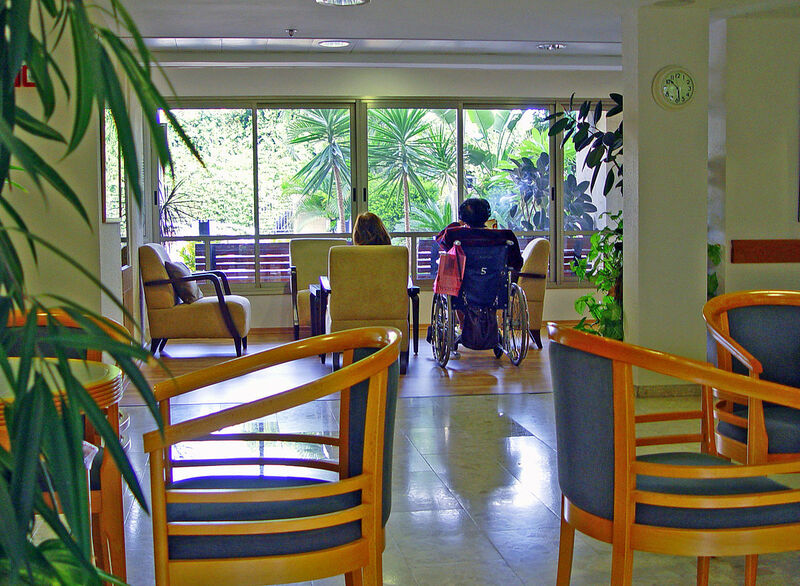 Sending relatives to care homes abroad might be a choice that many more people find themselves considering, as the gulf between cost and quality continues to widen.The problem is partly fuelled by demand. People are simply living longer and to ages where chronic health problems are more likely. If living more cheaply is the only reason you’d retire to another country, though, you’re likely to be unhappy. The United States is probably the most convenient country on the planet. You can get almost anything you want, almost any time you want with a phone call or the click of a mouse. The rest of the world is just not like that. It’s hard enough when the memory is fleeting, but if they’re living in another country with absolutely nothing familiar, that’s a recipe for disaster. In addition, not every adult child moves with their parents. So visiting can get expensive and if something dire happens, they may not be able to get their soon enough which is a doubly scary thought. Now, that being said, a lot of adult children move with their parents to the foreign country… but even that shows it’s not for everyone, since that means uprooting your life as well. So, while the care may be cheaper, the visits to your elder can get expensive and if you’re leaving your life in America, that alone is a hefty sum. We are also seeing more assisted living and care homes popping up in Latin America as the historic tradition of family taking care of their elderly becomes less viable in the modern age. In Medellín, Colombia, for example, several development groups are building assisted living facilities that are of a very high standard but a fraction the cost of similar facilities in the United States. Another option that can be very affordable in Latin America is to hire in-home nursing care. Qualified full-time nurses earn less than US $1,000 per month in many countries. Even if you need around-the-clock care, the cost of three full-time nurses working in shifts would be less than the cost of a nursing home facility in the United States. The Philippines is offering Americans care for $1,500 to $3,500 a month — as compared with $6,900 the American Elder Care Research Organization says is the average monthly bill for a private room in a skilled nursing U.S. facility. Patients live in individual houses within a Thai community, are taken to local markets, temples and restaurants, each with three caretakers working in rotation to provide personal round-the-clock care. The monthly $3,800 cost is a third of what basic institutional care is in Switzerland. Those who end up staying at a facility being built in the outlying Chiang Mai district of Doi Saket will have amenities that would be tough for its European counterparts to match, including a clubhouse with a massage room and beauty parlor, a restaurant, Swiss bakery and pavilions with soaring ceilings and skylights. Think about the weather. Consider things related to infrastructure. Think about health care. Would you be comfortable being examined by a doctor who didn’t speak English? Do you have an existing health concern that could require emergency medical attention? In that case, it’s important to you to be within a, say, 20-minute drive of a First World hospital. We all need a reason to get out of bed in the morning. It can be challenging to find that purpose when you’re struggling with language and cultural differences. Having purpose is key to a positive experience in a new place. The happy ones may take up a long-deferred hobby, learn a new language or start a business, but many expat retirees find their purpose by volunteering. There are expat-retirees in different places who are volunteering as teachers, in orphanages, in single-mother facilities. This can be the best way to become a real part of your new community.